Here is a list of the top questions about how water gets behind walls. How to tell if your home is leaking? This would be the most common question we get asked, and we must congratulate you on the proactive thought of finding out if your home is indeed letting water into the structure before it’s too late! Most people wait until it’s leaking then react to the problem. The short answer is to get a thermal scan of all external wall and on internal wall where plumbing is likely to be running i.e. Behind a shower. Make sure the company also has moisture testing equipment. The likely cause is either failure in the mitres, head flashings no sealed correctly or in some cases, condensation running down the inside of the window and not being able to escape (It runs into your window sill mitres and down onto the timber framing below). If you see ants crawling out around the window frame, then further investigation is required to see if there is a leaking problem… ants like warm moisture areas! The most common area where water drips through is around the top of the window frame… this can indicate ingress issues behind the cladding! How to find and locate a water leak in the wall? If you have a leaking pipe behind a wall, thermal imaging of your house to check for the water source is the quickest method to detecting the source. In conjunction with using infrared, some of the best moisture meters for detecting leaks that are cheap and affordable can be found at the DIY link at the bottom of this page. Is there plumbing in the area? Water leaking behind shower when running? Window in the area? There are so many causes for leaks and one day they just appear out of no-where. Contact a thermographer to find out the cost of a thermal imaging inspection and moisture test. Yes, you can get leaks in brick houses, but the cause is normally obvious… and it’s not normally the brick itself. Look for window joinery failures, ground levels outside to high and covering vent holes… or maybe the gutter/soffit/eve is leaking and running down the walls? 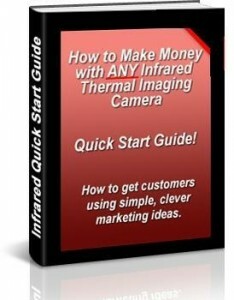 Again, thermal imaging will help solve the problem. Most likely a slow drip on the shower plumbing behind the wall, or the drain hole isn’t sealed and the water is finding its way under waterproofing or through grouting etc. The elbow join in the plumbing on the back of the shower head is a common source. If the showerhead is on an internal wall, the easiest way to fix it is buy cutting away the internal lining directly behind the area. This one can be tricky without the right equipment, especially when the apartment where the leak is appearing isn’t on the top floor. You need to get a professional to track the water back up from where it’s appearing. If it leaks all the time, then it’s plumbing. If it only leaks when it rains then it would be either a roof leak or around a penetration into the building envelope… such as windows, fixings, deck joists etc. How to find a roof leak on a flat roof? Isolate the area where you suspect the issue is, and flood it with a hose. This is very hit an miss… but you are better to have someone come in with a thermal camera when it’s leaking to get a trace on the path of the water. It may be coming from a totally different place than first thought! Water will track to a low point and sometimes come out light fittings many meters away from the source. If you see your ceiling bulging under a flat roof, then it can only be a leak! Water leak detection coming through gutters? Internal gutters or external? If water is coming through an internal gutter then take drastic action because your wall is about to take a serious hit with water. This could cause dangerous black mold to grow in the wall. Get a roofer up there asap! If the leak is coming through normal external gutters then it’s probably rusted out at the joins. How can i dry a wet wall from a leak? This is open ended because it depends on how wet the wall is. If it’s saturated, then you would be best to remove the drywall and dry it that way (pull the insulation out while you are there and replace it). This will also allow you to confirm the leak source is fixed before closing the wall back up. Water leaking between window frame and wall? You have water either getting in around the head flashing of that window, or possibly coming down from the floor above (or roof above). Get someone with a thermal imaging camera and moisture meter to assess the area, as it may save you ‘attacking’ the wrong area only to find it leaks again. Most likely you have an issue with moisture if the smell is new… and the house is old. Smells don’t suddenly appear for no reason… and quite often that reason is because water has tracked down the wall and found its way onto the carpet etc. Get a moisture testing company in to scan the home before the issue gets away from you. Ugly… internal gutters are usually directly above an external load bearing wall, and they can funnel plenty of water into the wall at a rapid rate. Get this fixed immediately, especially if your wooden moisture meter tracks the leak back up to the top of the wall! How do you know if your dux quest pipes are leaking? Turn the main incoming water feed off to the house and see if the water meter keeps turning!